MacBooks and iMac prices have plummeted. if you've been holding off buying your tech until Cyber Monday, your patience has been rewarded. Jet has kicked off its Cyber Monday sale with some particularly strong offers on devices – including some amazing iMac and MacBook deals (if you can't see what you're after here, take a look at our roundup of Apple Cyber Monday deals). 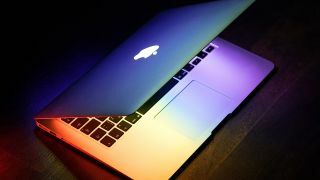 Jet has dropped the price of a range of MacBooks by $200-$250, but the top saving is on a 15-inch MacBook Pro with Touch Bar (core i7, 512GB), which has been discounted by a massive $300. Read on for more details. Save 25%: The top percentage saving from Jet is this 13-inch MacBook Air. This model, with dual-core Intel Core i5 processor, 8GB RAM and 128GB SSD, will usually set you back just under $1000, but this Cyber Monday it's $250 off. Save $302: The biggest saving in dollars in Jet's mega MacBook sale is on this high-spec 15-inch MacBook Pro in Space Gray. This machine comes with 16GB memory, a 2.9 GHz quad-core i7 processor and 512GB storage. The price has been slashed by over $300. Don't need that much power? The 128GB version with core i5 processor and 8GB RAM has dropped in price to $1049 – saving you $250. Save $200: If it's an iMac you're after, this might be the deal for you. This model features a brilliant, 21.5-inch widescreen display, powerful 7th-gen Intel Core processor, and super-fast graphics. Apple has also slimmed down the machine so much it's now only 5mm at the edge. Right now, save $200 at Jet. Read on to discover where the biggest savings can be had. Not quite what you're looking for? Take a look at our roundup of all the biggest Cyber Monday deals, across the board, or explore all of Jet's Cyber Monday deals (if you need to buy for children this Christmas, there are some pretty awesome toy deals in the mix).